"A refreshing perspective on values education ..."
"A great book for your frustrated kiddos ..."
"A powerful message that is told in a gentle way ..."
"A children's story that brings out an inner struggle facing some children today in school." "A great book for your frustrated kiddos - a great gift for the teacher as well. A little book like this in the hands of a few teachers in the lower grades could really boost the morale of some kids who would otherwise struggle silently. A great tool for communication. I hope it gets used widely!" "The illustrations in this book remind me of those I enjoyed when I was a child. It has a powerful message that is told in a gentle way, without preaching. It will help children to overcome a fear that probably most of us had growing up, one that some adults still have." Danek S. Kaus, Author of "Willoughby the Singing Whale"
"This book starts with little Danielle, upset and bothered that she had a test today and her mark, though she passed, wasn't very good and she was worried that her mummy would be disappointed in her. Her mother noticing that Danielle is upset, sits down with Danielle and Danielle pours out to her mum the reason behind not doing too well. The age old answer of "Not understanding what the teacher is talking about". This is such an amazing topic to base a book on as it is one of the most common problems in schools - Children are not doing too well on tests or on schoolwork as they are afraid to ask questions, as if they do ask questions, the thoughts flicker across their little minds "Will the kids laugh at me, will the teacher think I’m stupid and even if she does explain it what happens If I still have no clue?. Trust me, this does happen. How do I know? Because I was exactly like Danielle at one stage. I hated asking questions in class, as I was so worried what others and the teacher would think and I ended up getting questions wrong in Math. An amazing quote in this book that really stood out to me and I would like to share it with readers was " Whatever the subject or lesson may be about, there will always be somebody to help you". This is so true and it can be applied anywhere you are, not just in the classroom. So Parents, I pass this tidbit to you: If your child is struggling in school, scared to ask questions. Then read this book to them and I guarantee after you have talked it over with your child, you will soon start to see improvements in not only their schoolwork but attitude too." "Your book was helpful between my daughter and myself; it gave her an opportunity to tell me a few stories about her feelings in the classroom. Sometimes you don't get this out of your children until you read something like this with them and then they open up. Thank you." Patricia Kubus, Author of "Amanda Helps Becky Say Farewell"
"How difficult it could be to ask for help and special attention in front of everyone or even having the courage to ask in private. A children's story that brings out an inner struggle facing some children today in school. Everyone learns at different speeds and each subject is different to learn for each individual. I like how this book teaches a child to ask questions and not be afraid to pursue further to learn. I enjoyed reading this with my daughter, very nice." Posted by Trisk K. on Amazon, Goodreads and Shelfari. A very simple solution to a problem that students of all ages encounter at one time or another. In "But What if I DON'T Understand" author C.P.Siebenhuener shows the importance of letting children know it's okay to admit you don't understand something and ask for help. As an educator myself, I have seen students both young and old refuse to ask questions for a variety of reasons. This story is a great way to broach the subject with your students or children and let them know that teachers and adults DO understand and are willing to help! "But What If I DON'T Understand?" begins with the child Danielle coming home from school, dragging her feet in an attempt to slow down the inevitable homecoming meeting with her mother. She has taken a test at school and has not done very well. Her fears cover a whole spectrum of concerns; disappointing her mother, being laughed at by her classmates and incurring her teachers wrath. 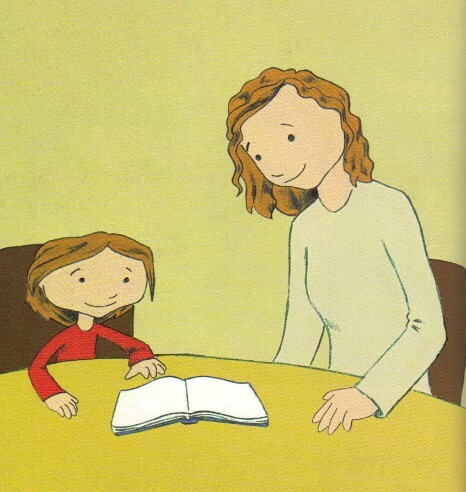 Danielle's mother, however, is very understanding and quietly explains to Danielle why she must not worry and why it is alright to ask the teacher if there is anything at all she does not understand. This book teaches children the importance of asking questions in order to stay abreast of the rest of the class. Too many children find themselves in Danielle's position, as they have done for generations. To not understand and to not ask is to be left behind. Both parents and children will be able to appreciate, via the straightforward, well-written and delightful dialogue, that this sort of communication problem can be overcome. This book also provides a very useful tool for educators who may well often overlook these reticent children in the classroom. The message is expressed in a sweet and sensible way by a loving parent to her child. It really is quite endearing. I highly recommend this book to anyone whose own child may be having difficulties at school through not being able to keep up. Or one who teaches a child who is not reaching their full potential. n added bonus here is that when you purchase the Paperback version you have the opportunity to download an audio version free. That's pretty good in my opinion.